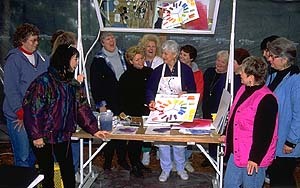 My workshops consist of lectures and brief demonstrations with lots of painting exercises. Workshops are a great way to learn and to make new friends, not to mention a get-away from your daily grind. Check these links to other workshops to see what else is available. Please call contacts on my workshop schedule for specific details about a workshop.